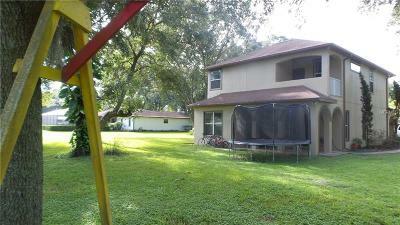 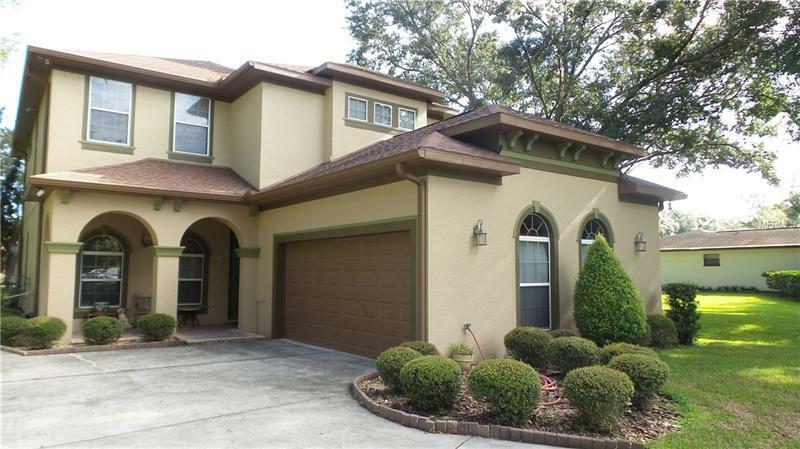 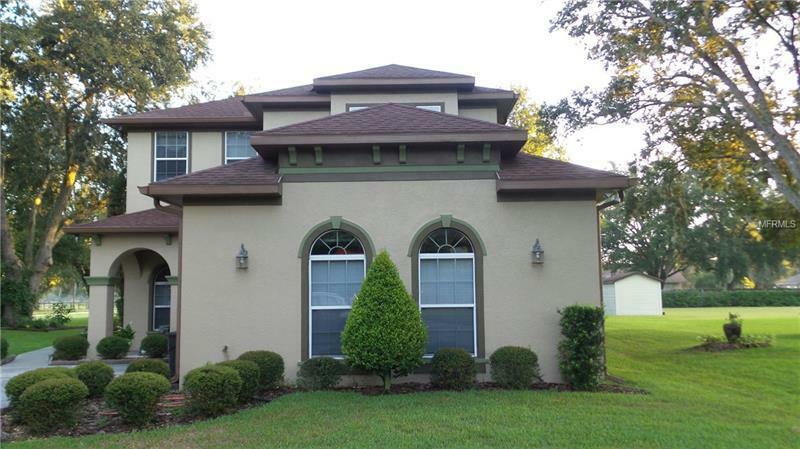 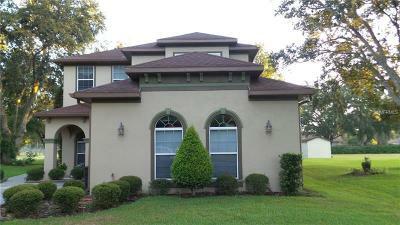 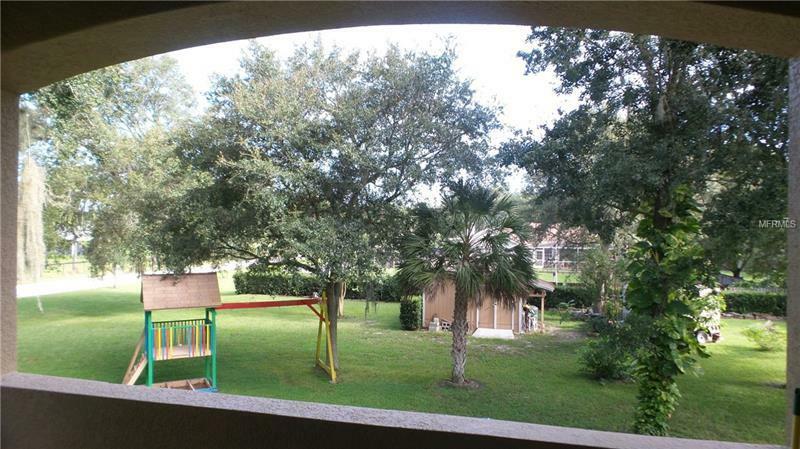 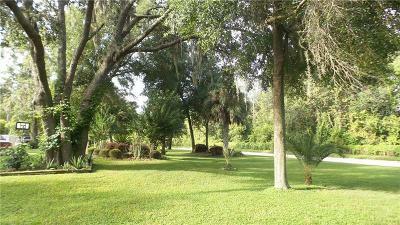 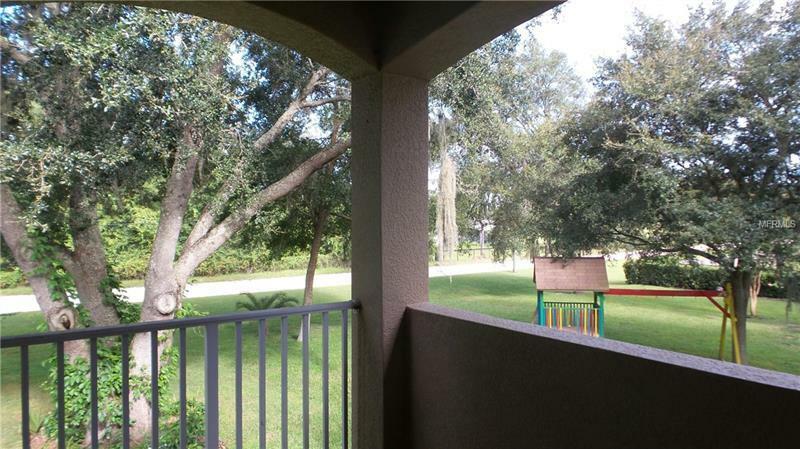 NO HOA/NO CDD in Wesley Chapel! 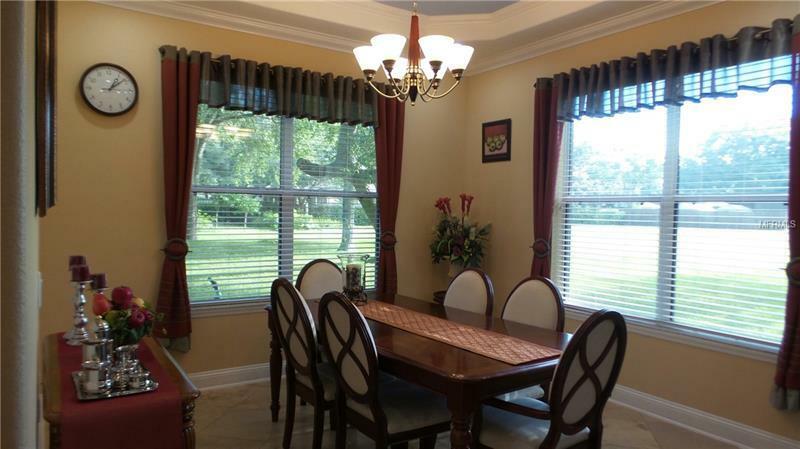 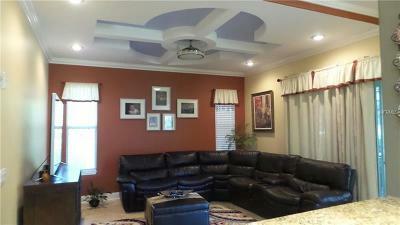 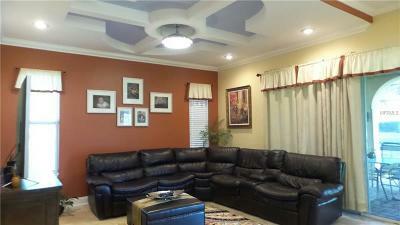 Custom built home close to St Rd 54, across from Saddlebrook Resort! 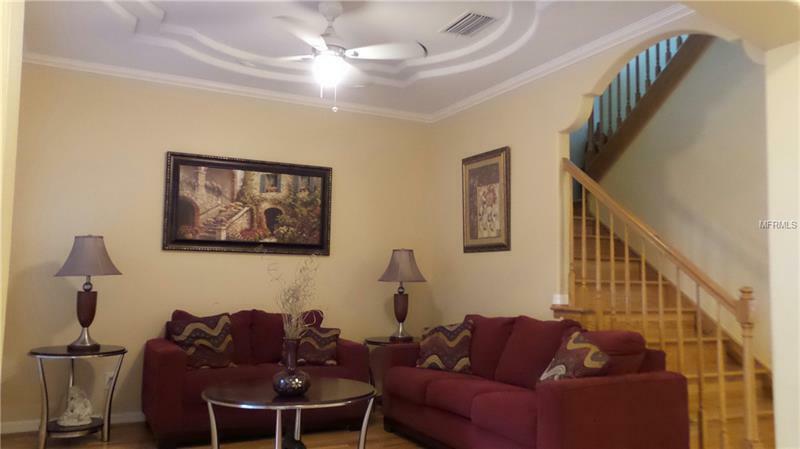 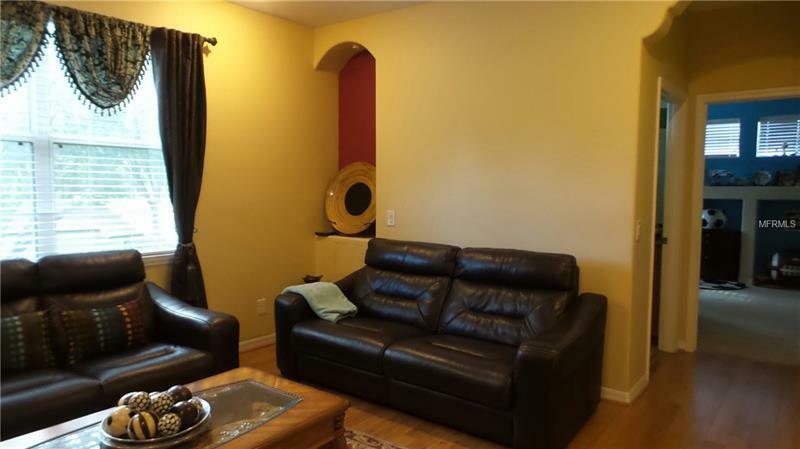 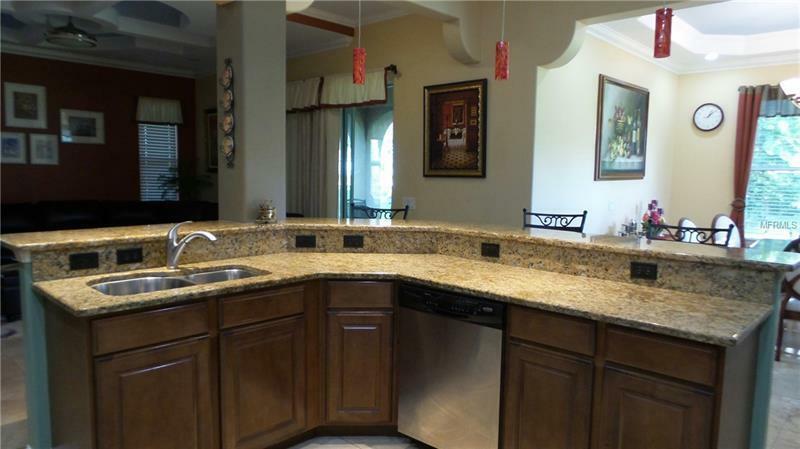 This Custom built home sits on a Quiet Cul-De-Sac, on close to 1 acre of conservation lot. 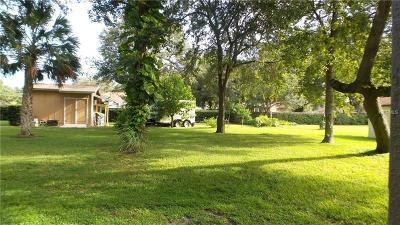 No worries about business cars, RV, Boat, etc. 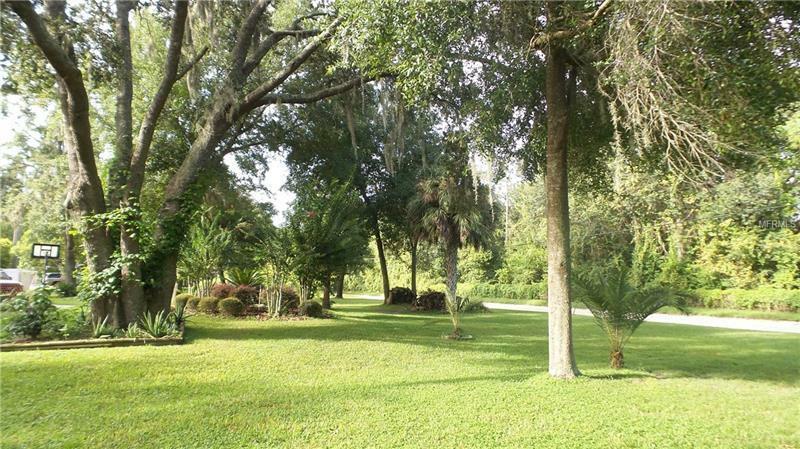 as you can store and/or park them on your own land. 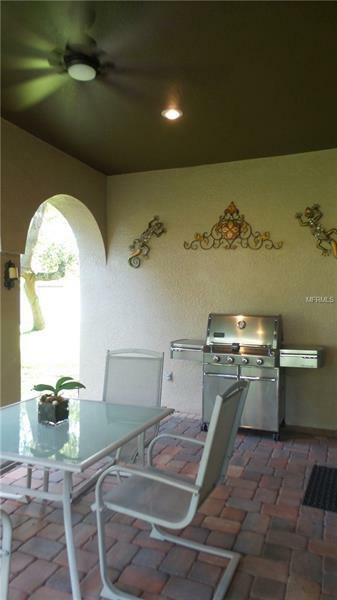 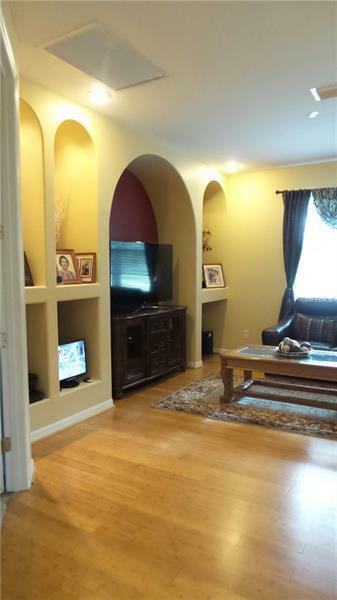 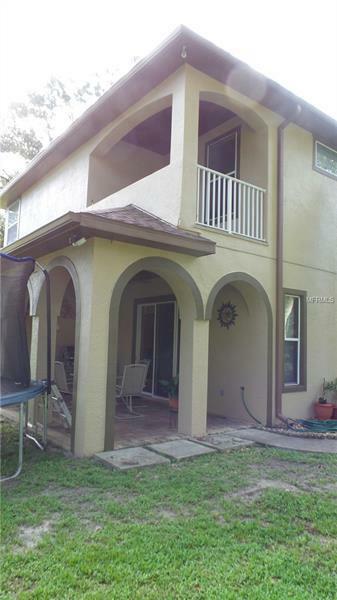 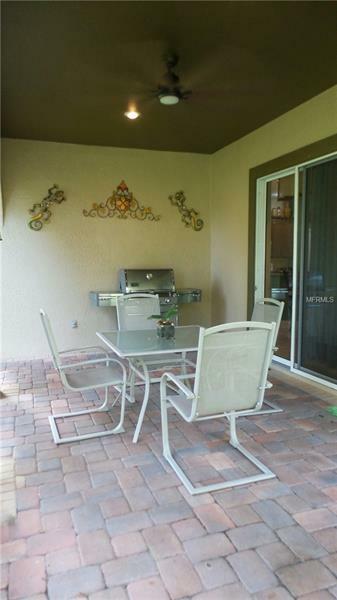 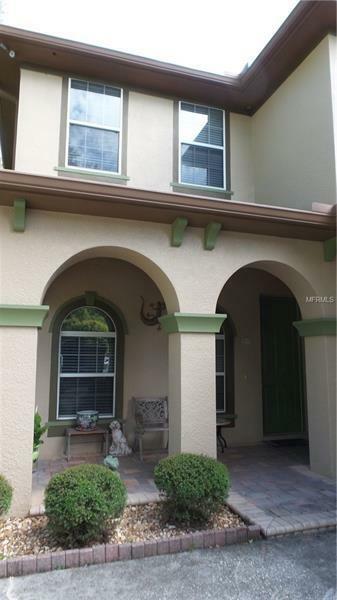 Enjoy time from the Mediterranean style patio, Balcony and a permitted Shed is added for additional storage. 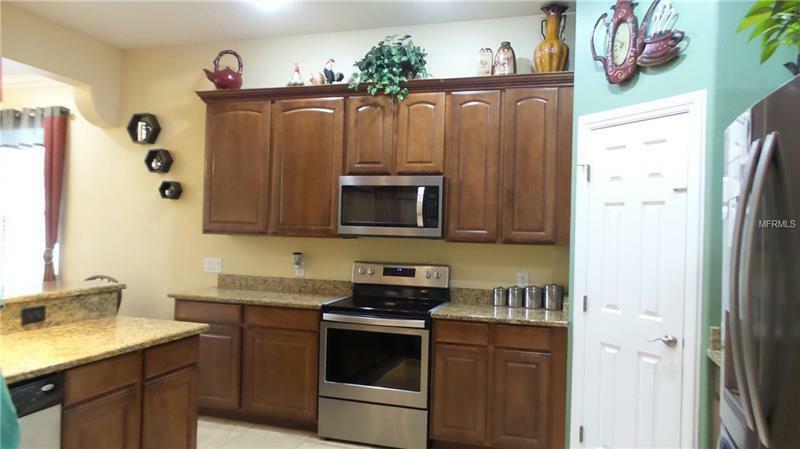 This 2732 sqft home features a beautiful solid wood, 42" Maple Cabinets, with Whirlpool stainless steel appliances, with over sized stove with 5 burners. 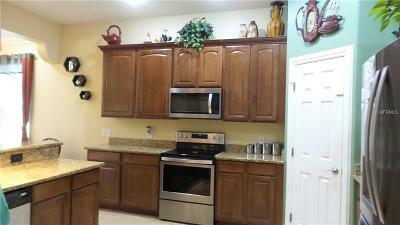 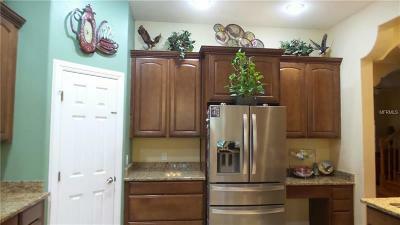 walk in Pantry, Granite counters with Breakfast Bar. 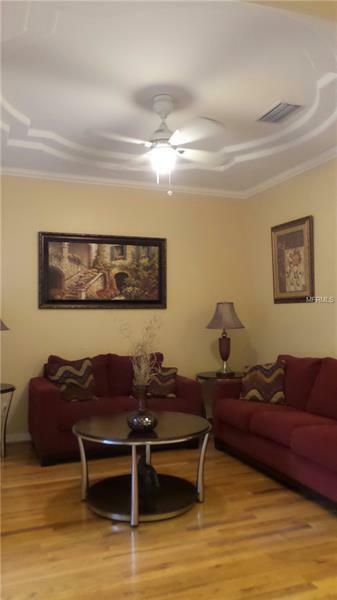 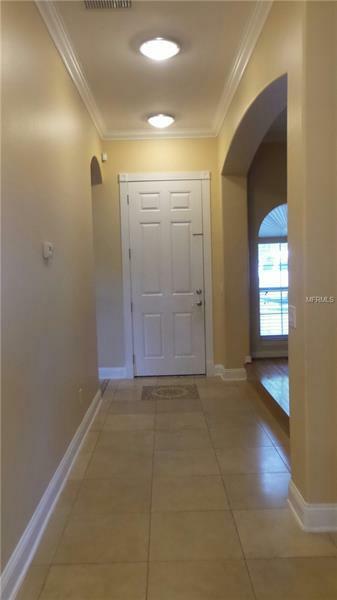 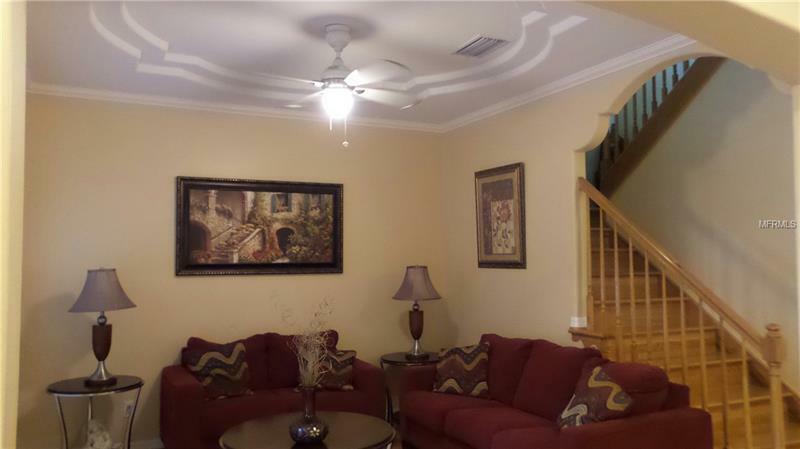 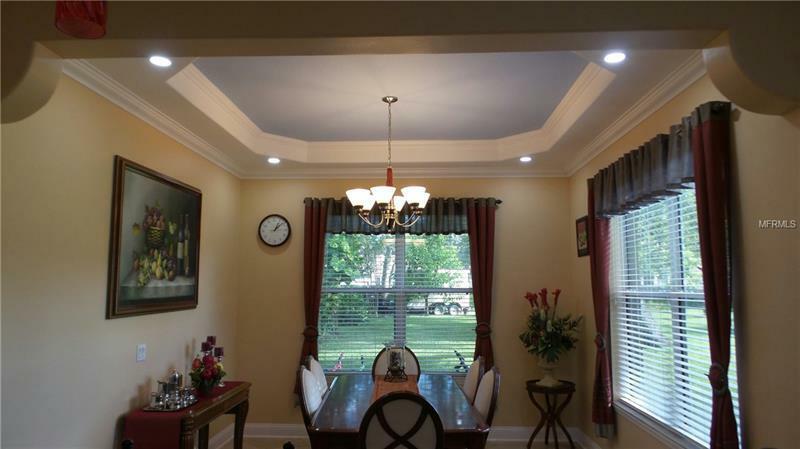 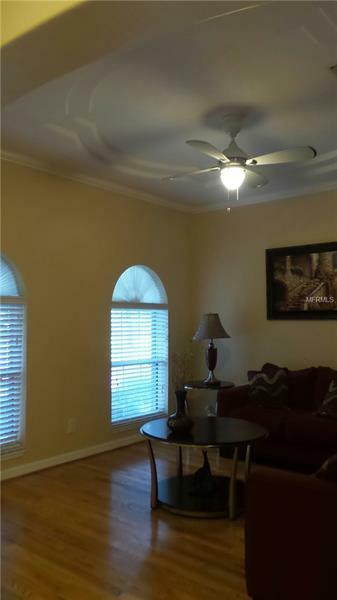 Tray ceilings with conservation lot view from your dining area, Family room with very special Coffered ceiling with Ceiling fan that provides a nice breeze and doesn't look like a regular ceiling fan! 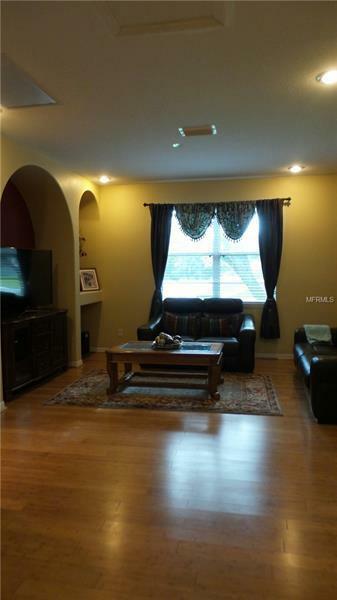 Oak Hardwood flooring in living area. 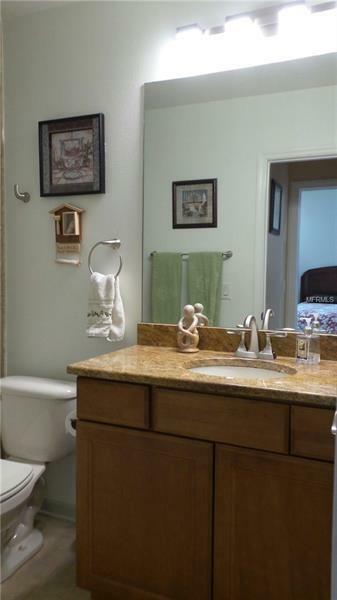 Guest bedroom downstairs with Bathroom. 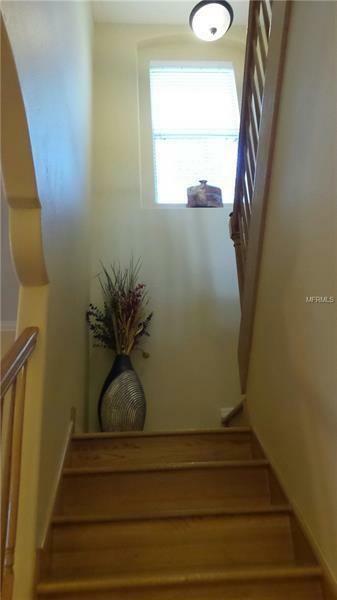 Oak hardwood floor stair case brings you to the second level where you have a Bonus area that is the size of a living room. 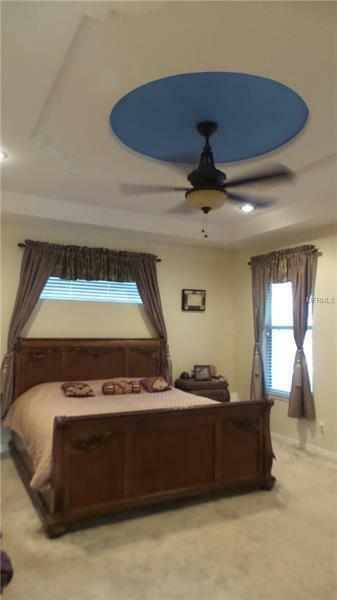 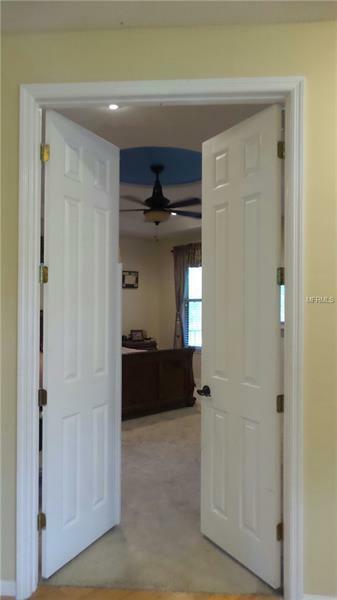 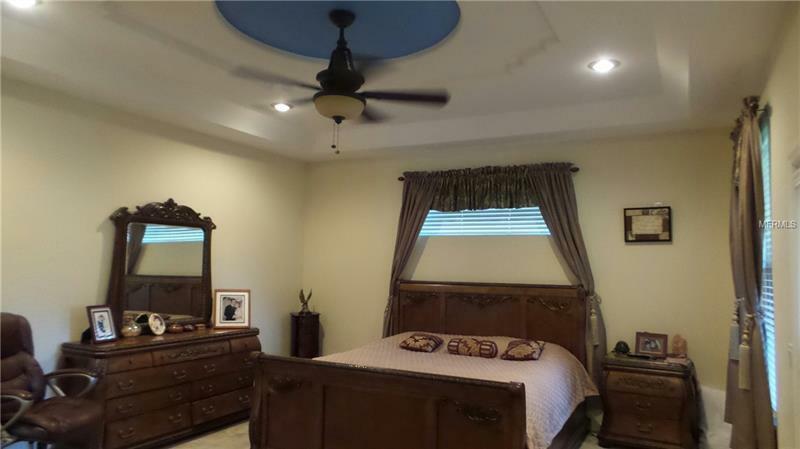 Double doors lead to Master Suite with custom ceiling and Balcony access. 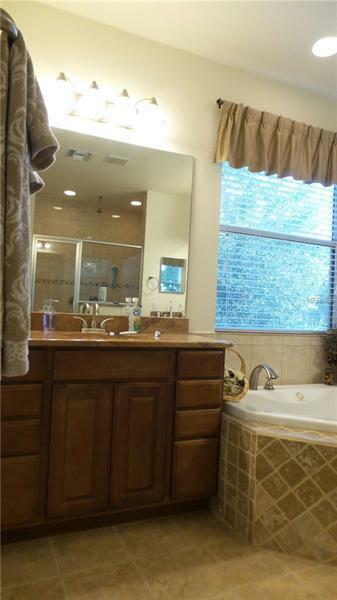 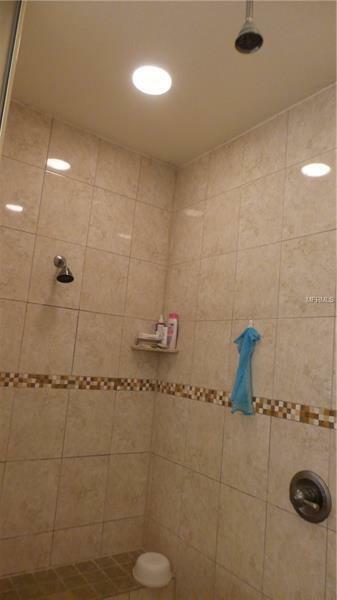 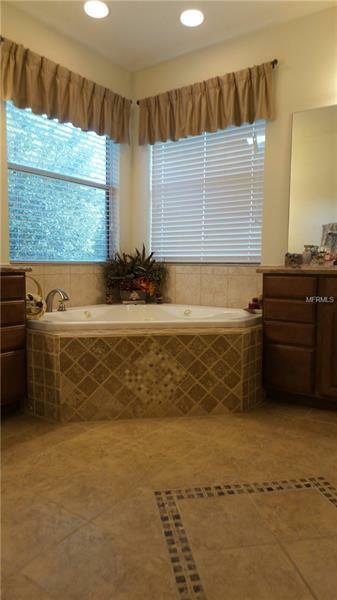 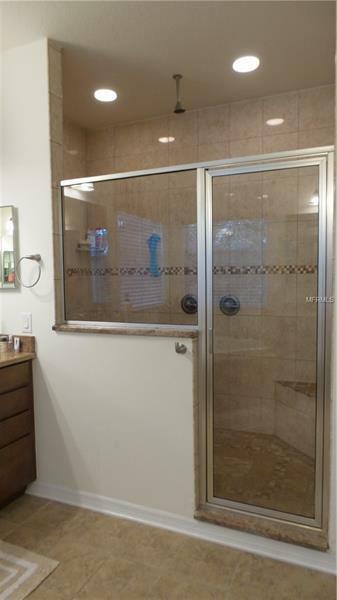 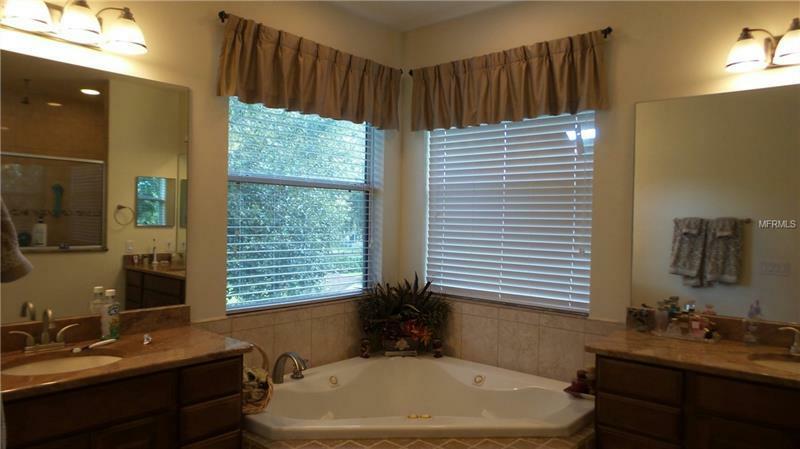 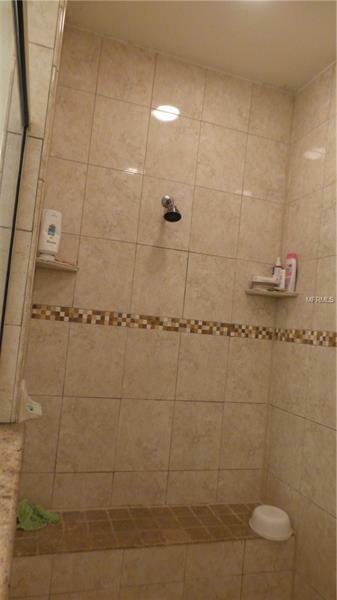 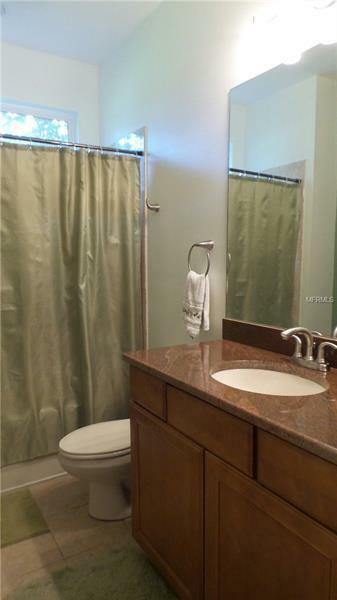 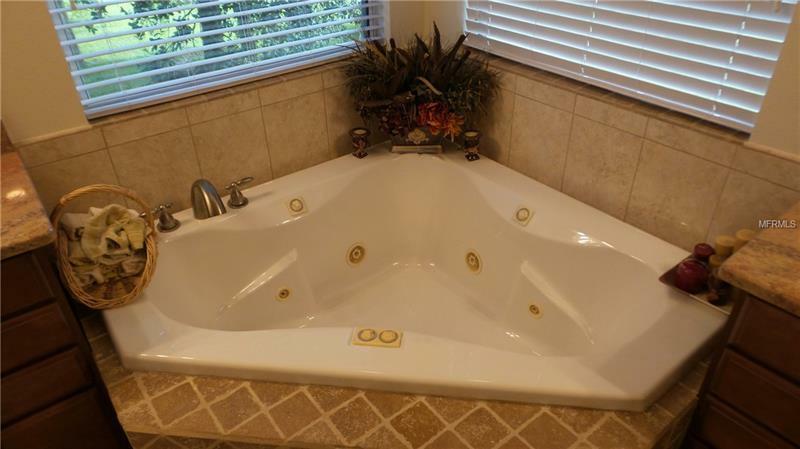 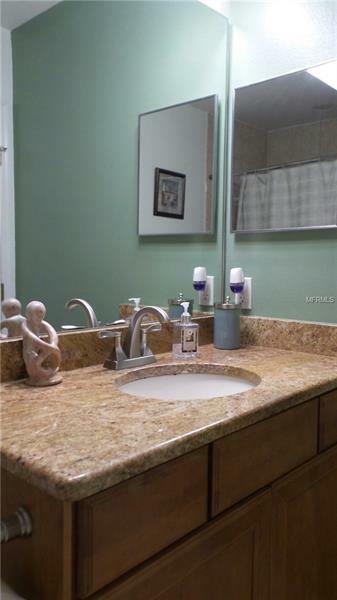 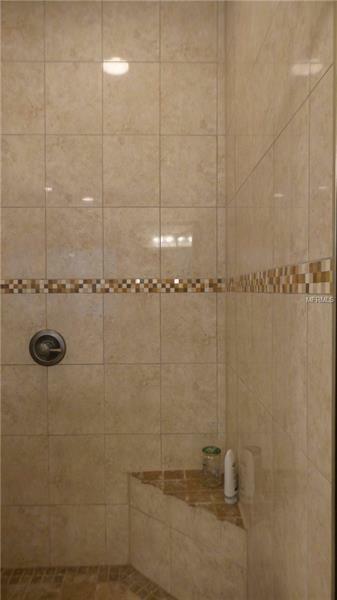 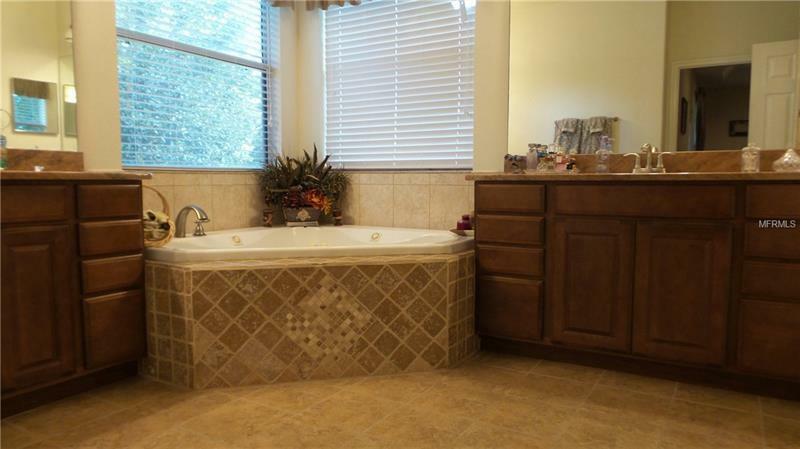 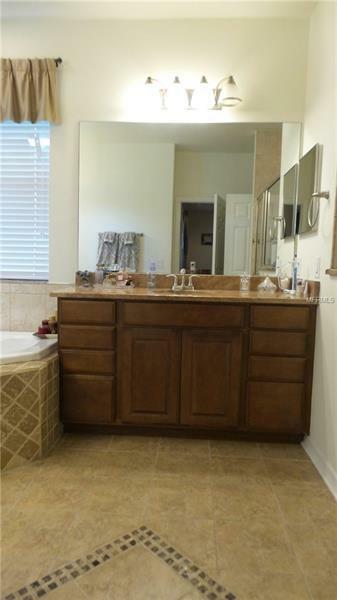 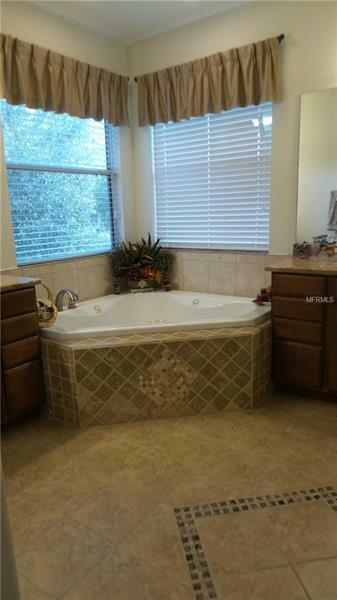 Adjacent Master Bath featuring Garden Tub with Jets, Double wide shower stall and separate water closet. 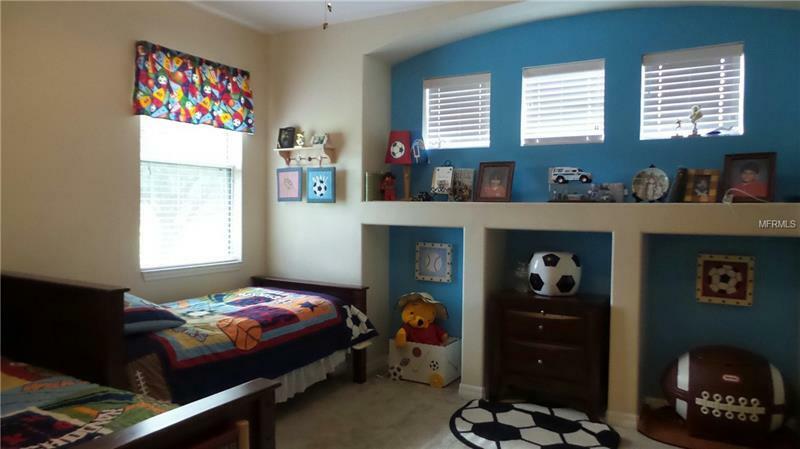 Over sized walk in closet. 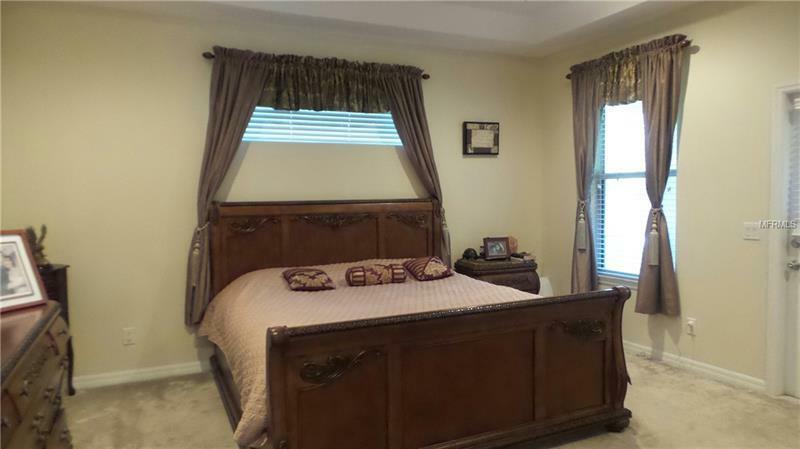 All upstairs bedrooms have walk in closets and rooms are very sizes. 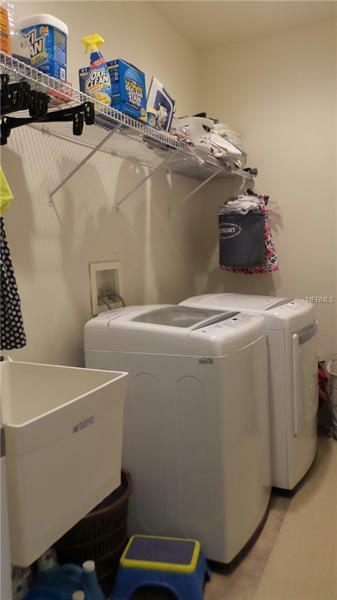 Laundry room convenient near bedrooms with utility sink. Two Car Garage with extended driveway. Lot is big enough for an over sized Pool. 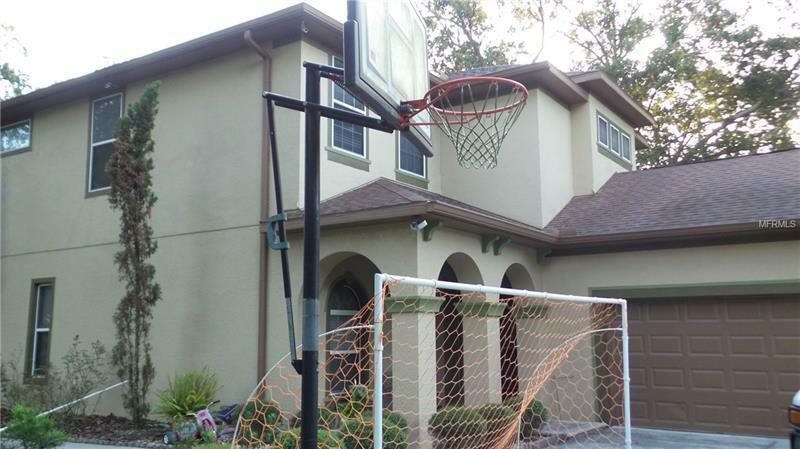 No problem to have your own basket ball hoop, trampoline, etc. 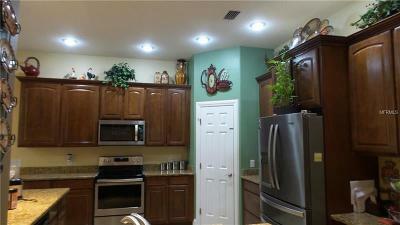 Home warranty with full offer. 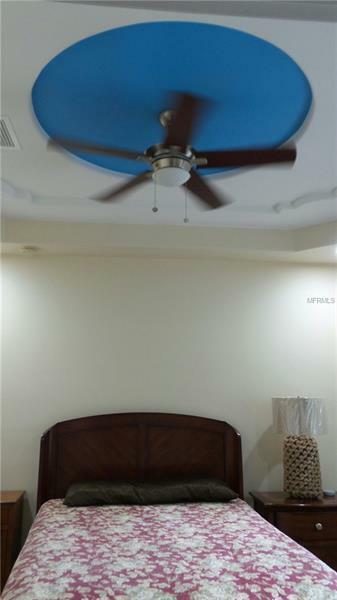 Sold "As Is"